Sitting here this morning with my cup of coffee and waiting for the kids to wake up, this is the perfect kit for me! Combining my morning coffee habit with my love of a nice cuppa tea in the evening, this kit has everything needed to remember those relaxing moments. This kit was also created for the Design Factor Challenge #2. The challenge was to use patterns completely drawn by me. Looking through the gallery at DSC, I see that there is a lot of interpretation as to what "drawn" means. I took it to mean actual drawings, so that is what my patterns are -- drawings by me. Not my strong suit, in my mind, but it worked! To download directly from this post, <Link has expired>. The whole kit is in one link, so depending on your download speed, it may take a bit. As always, if you use my creations, please link me up so I can see what you're doing! I love to see my work in action. I'll be back in a couple days with an add-on to this kit. I had so many element ideas, I had to keep some back! Thank you so much for this post. 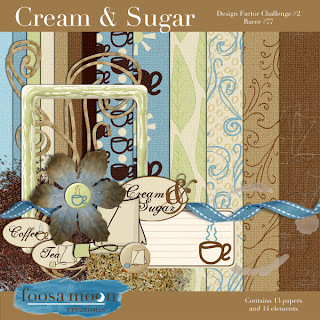 I want to let you know that I posted a link to your blog in CBH Digital Scrapbooking Freebies, under the Page 5 post on Aug. 08, 2011. Thanks again. Great kit - love the colors! Thank you for sharing.